Don Roulo is the CEO (Chief Encouragement Officer) of Life Quest. He is a life, career and business coach as well as a Certified 48 Days Workshop Facilitator. He travels nationally and internationally to conduct business and career training as well as marriage and family workshops. Last week I started to the discussion about whether going to college is the right choice, Again, I know even asking the question may be upsetting to some, but we need to be open all possibilities. This week I will address just a few things I hear fairly frequently as reason college is the right choice. Really? Are you kidding me? Why would you want to spend tens of thousands of dollars to ‘find yourself’ and what you are interested in? Here is an actual situation a 17 year old asked about. He will be going to college in another year, but is not sure what he is really interested in, or if college is the right choice. What should he do? Here is my recommendation. Do not go to college upon graduation from high school. There is no law that says someone must to go to college immediately after high school. As a matter of fact, in this young man’s case, it can do more harm than good. No reason to jump into college after completing high school especially if you don’t have a direction or a purpose. I further suggest to him and anyone in a similar situation, to go find a job in an area you think you have an interest for six months. After the six months is up, go find another job where you think you have interest and work there for six months. After test driving some jobs, if you find a career field in which you have an interest which requires college – then go to college. Instead of paying a college to find out about yourself and your interests, why not let someone pay you as you discover your interests and passions? This way, if you decide college is a right choice for you, you then have a plan, a purpose and have made some money. I have had a conversation with a college registrar about this very issue. He told me he has seen quite a few students who seek a nursing degree because that’s where the jobs are and they are secure. He said the problem is they can’t stand science and they end up flunking out. Why? They were told by well meaning people to pursue this area, but there is no passion for it. Where the jobs are, good pay and security can never replace passion as a determining factor for life and career success. The first question should not be where are the jobs, what pays best and is the most secure? The first question should be, what are you passionate about? This again boils down to why are you really going to college? What are you passionate about? Does the area of your passion require a college degree? Is following in dad’s footsteps what you really want to do? I know these are hard questions. When it comes to family it can be difficult to work all this out. However, if you are old enough to go to college, you are old enough to discuss honestly and openly your thoughts and feelings about attending college. If you want to be a doctor like dad, great! It’s a noble profession, go to college. If you want to be a plumber, great! It’s a noble profession, but you don’t need a college degree. You will need to further your education, but you don’t need a degree to be successful and maybe even own your own business. To college, or not to college? If the shoe fits wear it. If it doesn’t, don’t force it on. 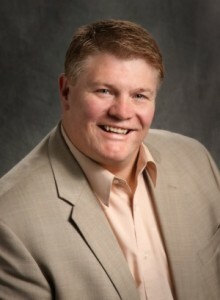 Don Roulo is a life, career and business coach as well as a Certified 48 Days Workshop Facilitator. He travels nationally and internationally to conduct business and career training as well as marriage and family workshops. As a business consultant, he has written business plans and worked to market products or services as well as organizing financial statements for investors. Because of his success in the sales and business arena, Don has been blessed with the opportunity to train, motivate and inspire others. His passion is to motivate and equip people to find their passion and achieve their goals and God given destiny.